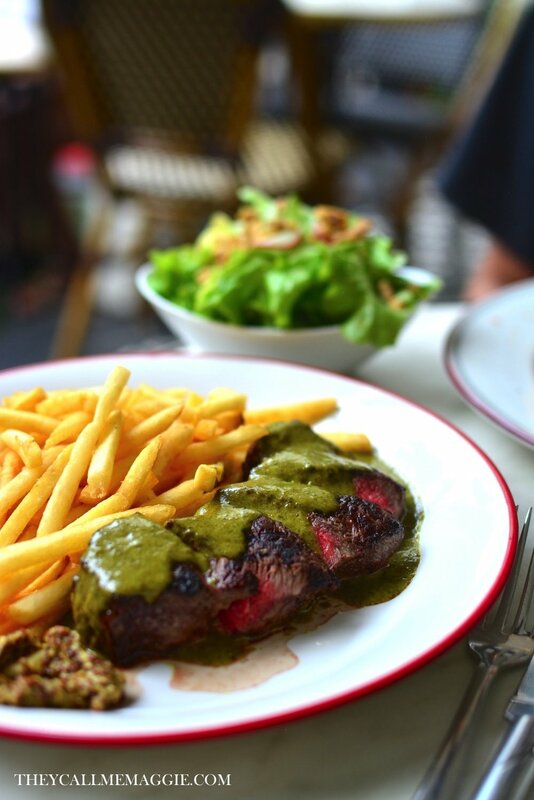 A beautifully cooked steak paired with bottomless fries makes for quite the compelling reason to visit Entrecote. 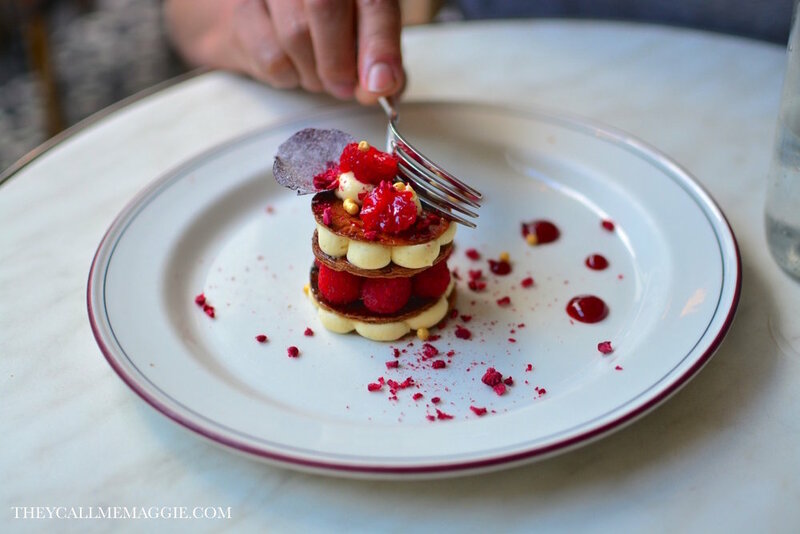 But as I discovered during my most recent visit which took place on my birthday earlier this year, the raspberry mille feuille is also high up there on the list of reasons to visit. But let's rewind. The Entrecote experience starts off with some fresh bread and butter. Why waste precious stomach space on bread if there's bottomless fries on the table you ask? I love my bread and when it's as fresh as it is at Entrecote (with a generous amount of butter), my self control goes flying out the window. We also opted for some spiced beef croquettes before the mains. This time around, we decided to sub out one of the steak frites for the mitraillette; essentially an epic sammich form of the steak frites. 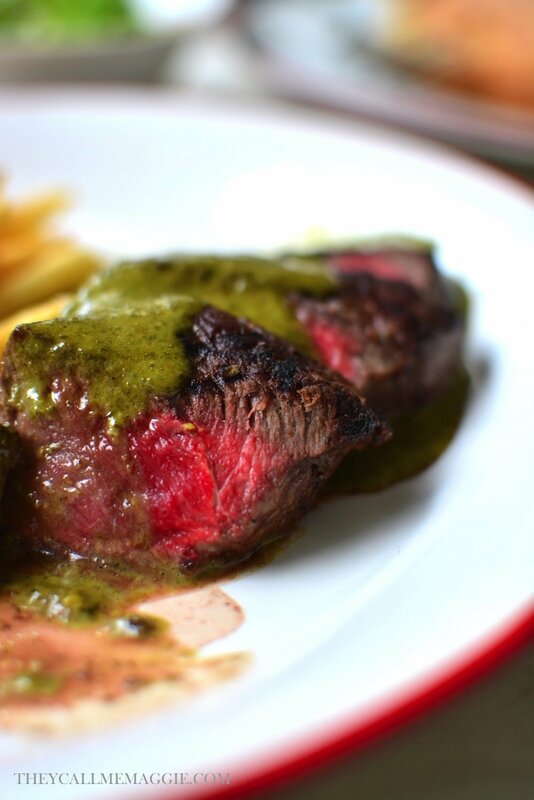 Tender steak, fries and their fragrant herbaceous sauce, wrapped up in a fresh, crispy baguette. 100% delicious. 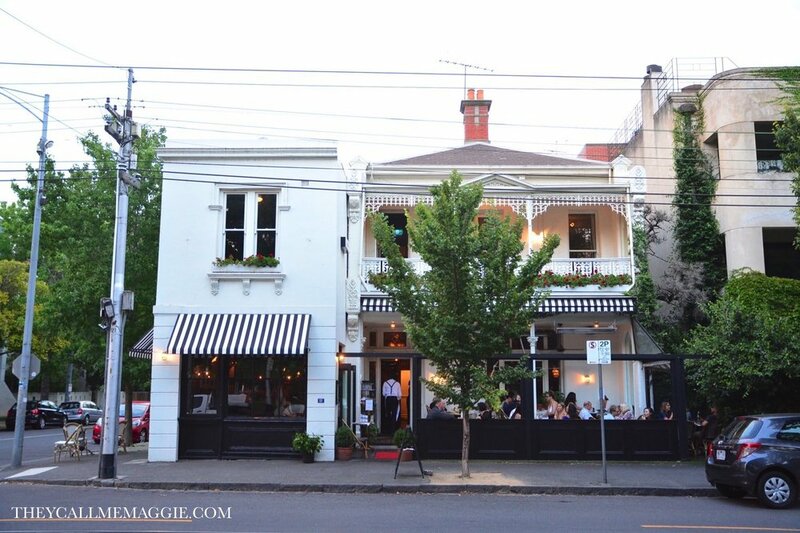 Perhaps more so than the steak frites... like I said I love my bread. But it was the hubby who ordered the baguette, so save for a few bites here and there, there was some major food envy felt on my end. Finally... birthday dessert came in the form of their raspberry mille feuille. Delicate layers of pastry, sandwiched together with light dollops of cream, and finished off with fresh and freeze dried raspberries. Better than birthday cake if you ask me! 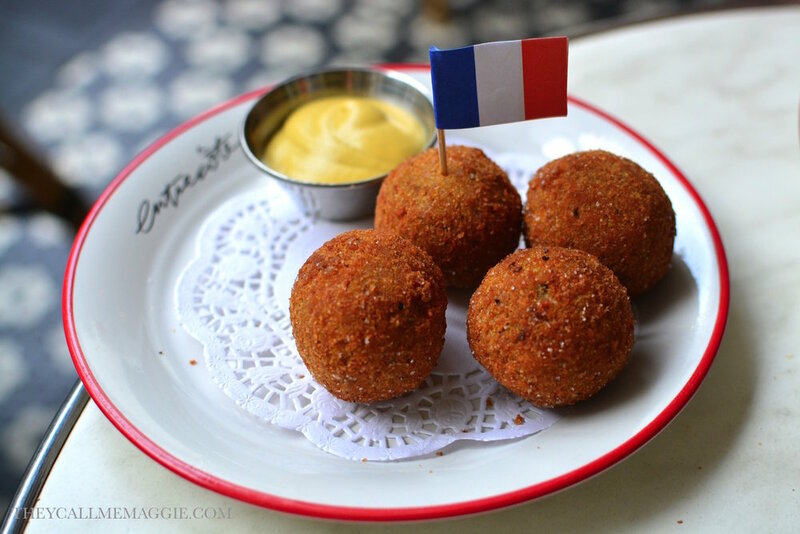 King Louis XIV 'Boulettes' - spiced beef croquettes with dijon mustard. 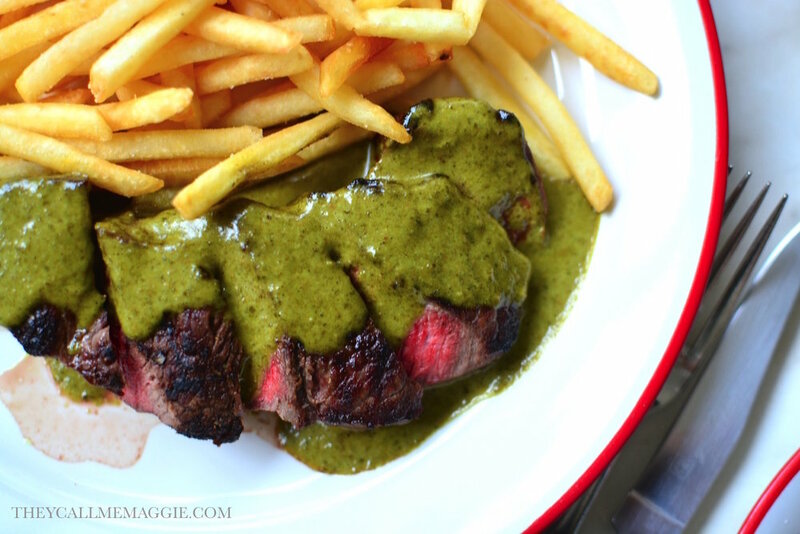 Steak frites - signature dish of grilled pasture fed Cape Grim 250g Angus Porterhouse, frites, sauce Maison au beurre aux herbes. Accompanied by a soft leaves salad with radish, walnuts and Dijon vinaigrette. 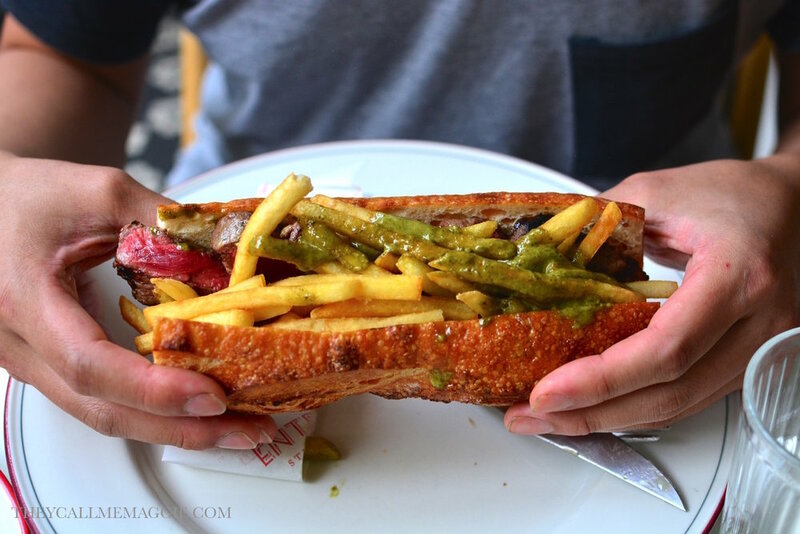 Mitraillette - baguette with grilled Entrecote, frites and herb butter sauce.